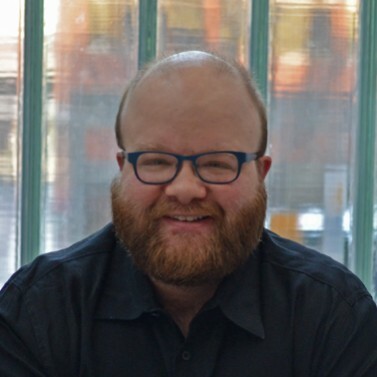 Nicholas Peterson, Director of Marketing, brings over 20 years of theatre experience both onstage and off, and has worked on web strategies for arts, non-profit organizations, and small businesses since the dot-com boom of the late 1990s/early 2000s. Since 2003, he has been based in Boston, working for New Repertory Theatre, the American Repertory Theatre, consulting, and working on his own projects, including ExploreBostonTheatre.com, an online-only media outlet dedicated to Boston Theatre. His website redesign for the Peterborough Players, a professional summer theatre company founded in 1933, earned New Hampshire Internet Awards for Best Entertainment site in 2003 and 2004. From 2001 through 2010, he consulted with the Board of Trustees Marketing Committee on integration of the Internet with their other marketing practices. Mr. Peterson is the former chair of the Theatre Arts Marketing Alliance (TAMA), a consortium of marketing professionals from theater companies in the Greater Boston Area. He has presented at TCG’s Annual Conference, the Boston Theatre Conference, the Annual Conference of the International Ticketing Association, Value Of Presenting – Arts Research in North America at Northeastern University, and presented to TAMA and Museums of Boston. He has also been on panels at Harvard University, Emerson College, and Southern New Hampshire University and been a guest lecturer at Simmons College. Currently he teaches Marketing and Audience Development in the Masters Program in Arts Administration at Boston University. He is a graduate of Antioch College in Yellow Springs, Ohio and holds a M.S. in Internet Strategy Management from the Graduate Center of Marlboro College.